SKU: 9781782550303. Categories: Health & Fitness, Fitness, Sports & Recreation, Triathlon. Tags: Biking, Endurance Sports, Running, Swimming, Triathlon. In 1987, Bob Babbitt started Competitor Magazine. One of the features of the publication was his editorial that ran at the front of the publication. This book is a collection of his favorite editorials from both Competitor Magazine and Triathlete Magazine. His stories bring out the human side of running, cycling and triathlon in a way that no one else ever has. 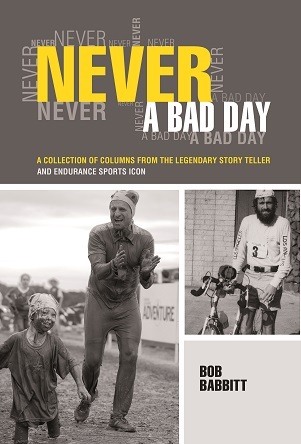 Through humor and inspiration, this book will become a must-have for the hundreds of thousands of endurance athletes who have made these sports not just their hobbies, but an integral part of their lives. Babbitt chronicled the rise of a triathlon prodigy from Texas named Lance Armstrong. Babbitt was a founder of the REI Muddy Buddy series and the Challenged Athletes Foundation, which has raised more than $48 million for specialized prosthetics and wheelchairs for people with physical disabilities. No one has more training or racing experience than the team of Roch, Paul and T.J. They will get you to your target race healthy, happy and ready for more. The authors are not only triathlon winners; they have also trained triathlon winning athletes, and written about their experience extensively. The 24-week training program in Triathlon: Start to Finish is laid out in four six-week increments. This represents the day-by-day, week-by-week work to be done in preparing for a successful long-distance triathlon. Pose Method of Triathlon Techniques is a how to book on triathlon techniques. 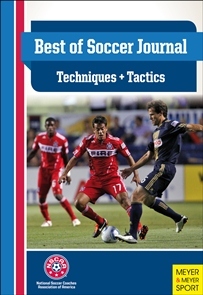 It takes the guesswork out of your training and helps you to dramatically improve your performance. Pose Method of Triathlon Techniques introduces a uniform approach to three different sports and shows how to seamlessly blend them into one – triathlon. 2 Olympic Games and 4 National Teams later, Dr. Romanov offers you his insight and experience of over 35 years of working with athletes of all levels. Get clear, concise and pragmatic instruction on swimming, cycling and running techniques to improve your performance and to avoid injuries.